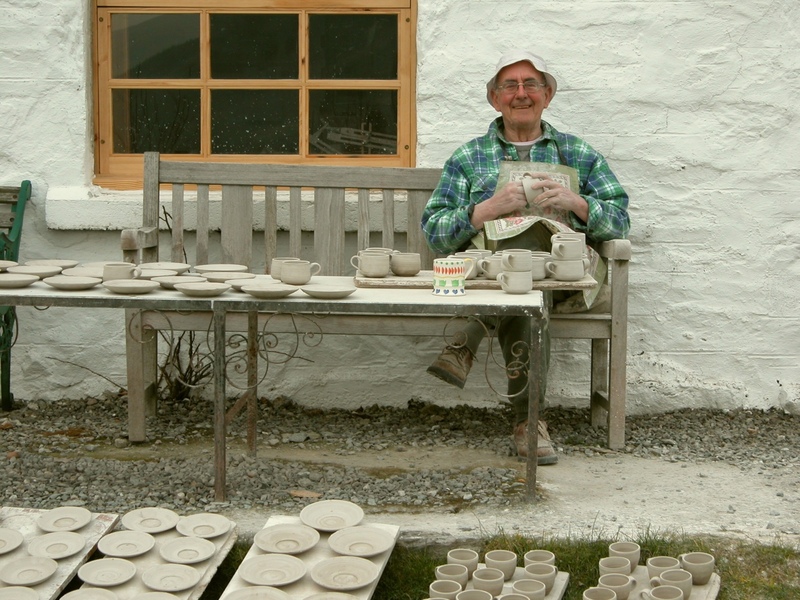 In the second of our Talking about Fearnan series, Pat and Fiona visited one of the most well-kent figures in our community – Andy Burt of the Loch Tay Pottery. Andy, and his wife Hazel, moved to Fearnan in 1982 having taken early retirement from their jobs in Harrogate. Andy had been Site Engineer at ICI’s HQ in the town, while Hazel was a senior lecturer in Social Sciences at Harrogate College. A few years earlier, on a family visit to Whitby, Andy had spotted a potter working at a wheel in a shop window. He was fascinated and stopped to chat, only to discover that the potter had also been an engineer at one time. A seed was sown during that conversation, leading to Andy signing up for a course in pottery at Harrogate College…………………. and the rest, as they say, is history! For a few years, pottery was a hobby but with early retirement came the opportunity to turn it into something more. 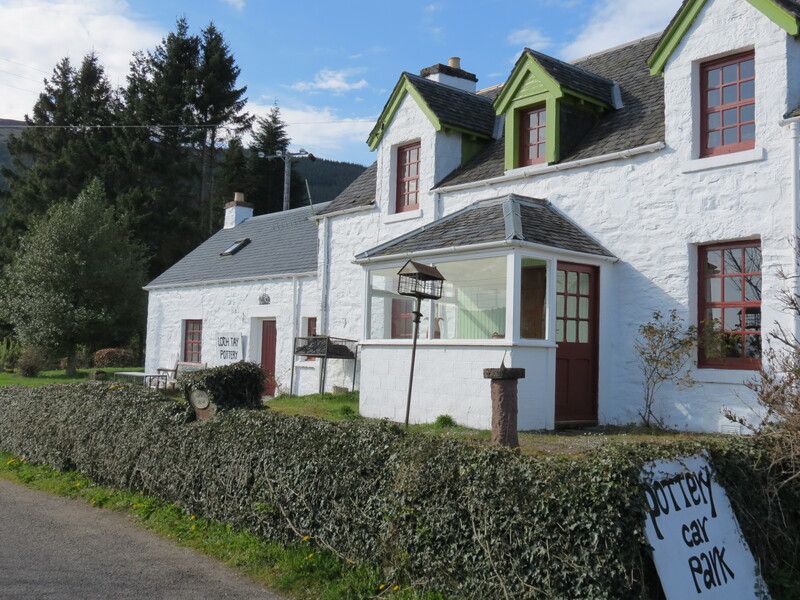 Andy and Hazel started to look for a building that could be a pottery as well as a home – which they found in Fearnan, when John McEwen put the building that is now Loch Tay Pottery on the market. Andy, originally from Paisley and a keen cyclist in his younger days, knew the Loch Tay area well from cycling trips and was very happy to settle in Fearnan. Andy and Hazel had originally met at a country dancing event in Dumfries, and they were delighted to discover that there was a very strong country dancing group meeting regularly in the village hall in Fearnan. 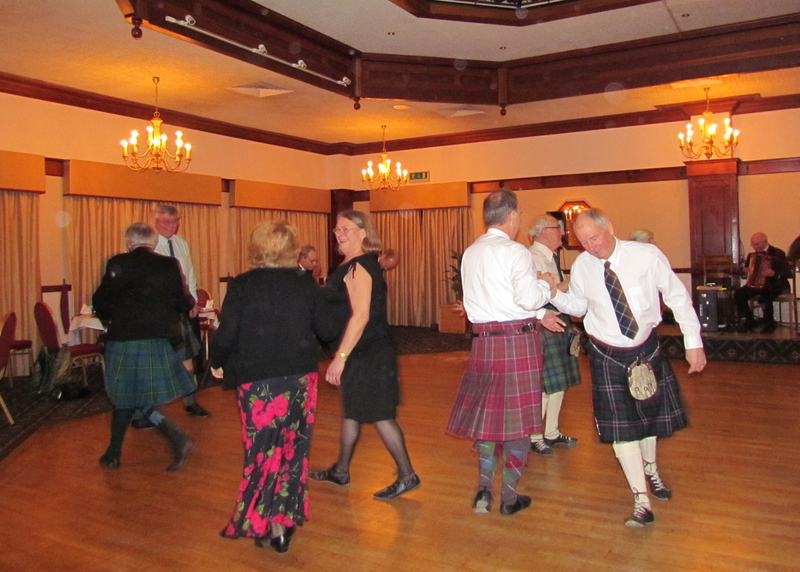 Andy recalls 20 – 30 people a week attending, and even more at the popular Annual Dance when enthusiasts from the surrounding villages such as Camserney and Kenmore, and even from as far as Pitlochry, would come to join in. The Country Dancing Club started in Fearnan in 1978, with Nancy Lovering as chairman and Alison Skinner as dance teacher. Alistair Inglis took over from Nancy as chairman, followed by Fraser McLean and then Keith Brockie. Other important meeting places for the village when Andy first came to Fearnan were the village Post Office and the Hotel. 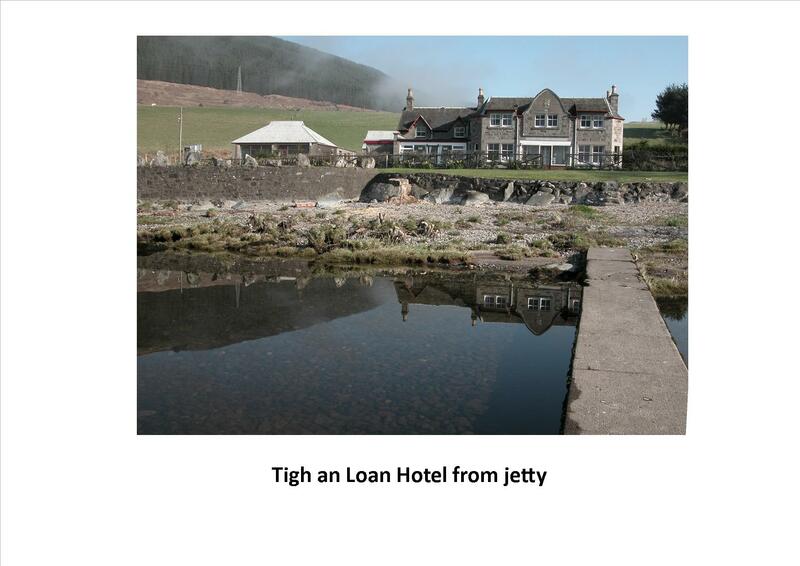 The Post Office and shop were originally located adjacent to the Tigh an Loan Hotel, before moving onto a separate site. At that time, the hotel was extremely popular; often there would be standing room only, and sometimes it was so busy drinks had to be handed outside to those who couldn’t get in. There were even petrol pumps at the hotel (rather different from today’s situation with Ballinluig and Lix Toll being the nearest options for a top up at the moment!). Going back even further, and well before Andy’s time, there was the Pier alongside the hotel and a Harbour Master to oversee goods and visitors arriving at the village by boat. More than 30 years after arriving in Fearnan, Andy remains as passionate about his craft as ever – one that has used the same techniques for thousands of years and which was first introduced to Britain by the Romans. He does everything by hand, from throwing the pots to making the glazes. Now in his 90’s, he opens the Pottery seven days a week, 52 weeks a year. As he says, it’s an ideal situation when you can turn a hobby into a job, and do what you want to do, when you want to do it. Great article. Looking forward to the next in the series. I’m still homesick after all these years. Visited briefly last year with Ian MacGregor and ian Brace. Used to live in Thistle Cottage and later at Balnearn.